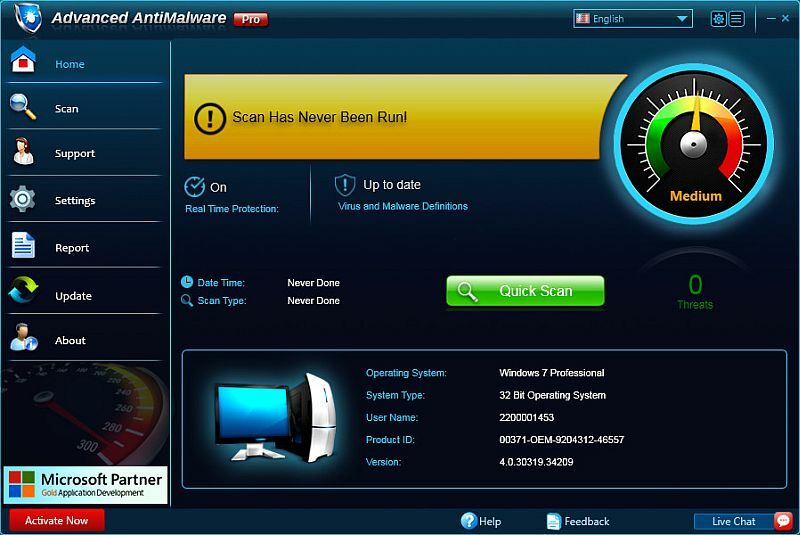 dvanced Antimalware Pro is one of the highly effective and easy-to-use anti malware solutions available for users to protect their computer system and other computing devices from all kinds of malware, spyware, adware, spam and virus threats. This light-weight software has an extremely easy user interface and gives several unique features to increase its usability. It detects unwanted malware, adware, spyware and other threats that have infected your system and clean up them efficiently. The Real-time Protection feature of the software combines antimalware, antispyware and antivirus scanners to give round-the-clock antimalware protection against the internet risks that attack the computer system of the user and can cause identity-theft, hijacking and spamming.The Anti-Tracking Browser Protection feature of the software prevents homepage hacking and default search engine modifcation on various browsers including Google Chrome, Mozilla Firefox and others.The pro-active protection automatically wipes the malicious tracking data to safeguard the privacy and passwords of the user for all accounts.The enhanced anti-malware and anti-virus engine used by the software deeply scans the system and remove almost all types of adware, spyware, trojans, worms and spam. Another advanced feature of this software allows the user to remove various types of sophisticated malware simultaneously with a single click. It also provides other facilities such as scan scheduling, in-built registry scanner, auto update of virus definitions and advanced password protection. Users can also benefit from the multiple scan modes offered by the application which include custom, quick and complete modes. This innovative antimalware application is compatible on various operating systems and can be run on any machine with a processor of 1GHz or higher. Its consumer-friendly nature makes it accessible on nearly every platform including desktops, laptops, tablets and mobile devices running on Windows.